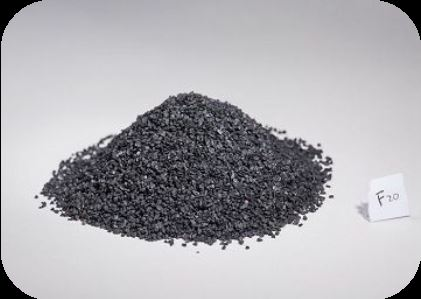 Black fused alumina is also known as black aluminum oxide or black fused corundum. It was a type of abrasive material developed latter than conventional corundum. It is a dark gray crystalline, melted in electric arc furnaces by using the bauxite as its raw material, similar to brown fused alumina. 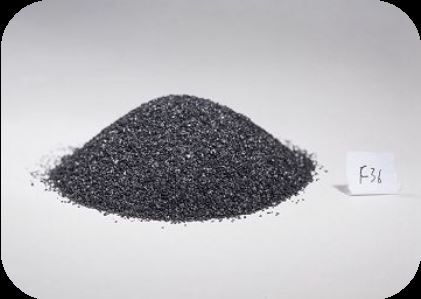 Black fused alumina is characterized by low Al2O3 and a certain amount of Fe2O3 (10% more or less) content, thus it features moderate hardness, high toughness, high-temperature resistance, and stable thermal stability. It is mainly suitable for free grinding, such as coarse grinding before electroplating products, mainly for polishing and sandblasting of stainless steel, fabricated metal products, optical glass, and it is also new abrasive for manufacturing resin grinding wheel, cut-off wheels and emery cloth. The black fused alumina with the characteristics of strong cutting power, high toughness, high flexibility, good abrasion resistance and high working efficiency, which is the best product for grinding and polishing, sandblasting stainless steel products. • For abrasives, such as ceramic grinding wheels, resin grinding wheel, sandpaper, abrasive cloth, abrasive belt, etc. 1. A professional and experienced manufacturer of 3 decades of continuous operation assures steady supply and stable quality. 2. The company owns a qualified testing laboratory and conducts continuous sampling and analysis throughout processing.